Massage is both a relaxing and therapeutic experience. It can reduce stress, relieve pain, increase circulation and improve your outlook on life. It can even be a part of your medical treatment plan. 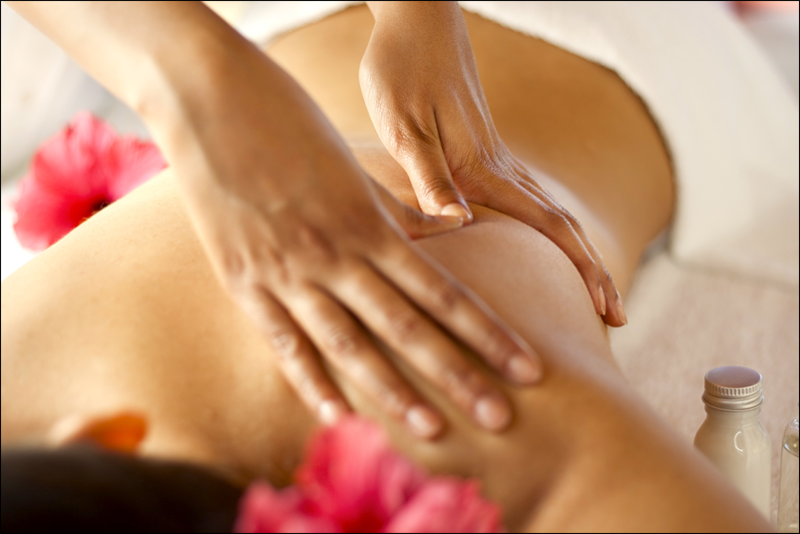 A growing body of research supports the health benefits of massage therapy. Experts estimate that over 90% of disease is stress related. And very little ages us faster than high stress. Massage can enhance energy, concentration, and sleep quality, thus better preparing us to cope with everyday stress. Our Licensed Massage Therapist can tailor your experience by selecting and combining just the right massage techniques and muscle work to create a custom massage session that will transport you to a deeply relaxed state of health and well being. Swedish Massage - long gliding strokes with medium pressure are used to relax the entire body, improve blood flow to the skin and muscle, and remove muscle tension. Reflexology - based on Eastern Tradition reflex points are massaged on the feet, hands, & head to relieve tension and treat illness in various parts of the body. Deep Tissue and Trigger Point Therapy - slow friction and deep finger pressure for body areas suffering from chronic muscle tension. This type of massage is useful for problem areas such as stiff neck or back, leg muscle tightness or sore shoulders. Deep tissue therapy works well in combination with traditional Swedish massage. Hot Stones - Muscle tension and stiffness is released as warm smooth stones move over the body. Heated Stone Massage is also thought to align subtle energies within the body for greater attunement and harmony. Aromatherapy - Swedish massage with scented plant oils known as essential oils. Extracted from flowers and other plant parts, essential oils offer a pleasing scent and are believed to have healing properties. The soothing effects of aromatherapy massage can benefit a variety of conditions, including headaches, insomnia, certain digestive disorders, back pain and even premenstrual symptoms. CBD Oil Massage - CBD oil has active ingredients that bind to CB2 receptors reducing inflammation and relieving pain. For athletes, CBD has the reputation of accelerating the recovery and healing of injured muscles - add CBD oil to any massage for only $20 and receive a bonus take home CBD lotion.